The reasons for establishing edible gardens are as diverse as the foods that are found growing in them. As food prices rise, some people turn to growing their own food as a way to save money.open_in_new Others use gardens as a way to bring communities together, especially in the wake of disasteropen_in_new or environmental injustice.open_in_new By providing a welcoming space to gather, engage in meaningful work, and produce fresh food to share, gardens can provide a sense of resilience in neighborhoods. Some schools embrace edible gardens as a way to educate youth on healthy food choices and to address childhood obesityopen_in_new linked to exposure to processed foods.open_in_new Those that are environmentally concerned may use gardens as a way to minimize their carbon footprint in the wake of fossil-fuel-dependent industrial agriculture; or, as a way to provide refuge for wildlife.open_in_new Regardless of the motivation, edible gardens can have a transformative impact on our lives. Space can be a limiting factor for those interested in edible gardens. 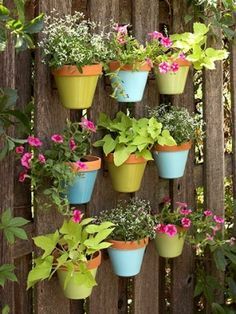 Fortunately, if you have sunlight (or grow lights) and water you can grow food in pots almost anywhere. 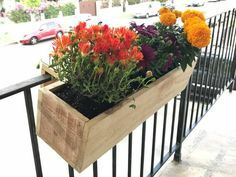 Container gardening is popular in urban areas or apartment complexes with sun-exposed patios, balconies, and even rooftops. 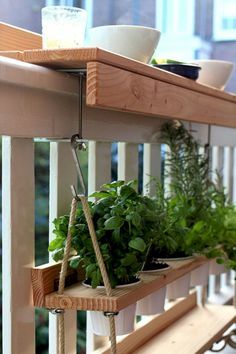 You can plant your favorite herbs, a pot of your favorite greens, even a cherry tomato. Or, love lemons? Pot up a dwarf lemon tree and place in a sunny location. If you live in a cold region, bring the plants inside during the winter. Vertical gardens, like this one in the Chicago O’Hare Airport, are sprouting up in limited-space areas. 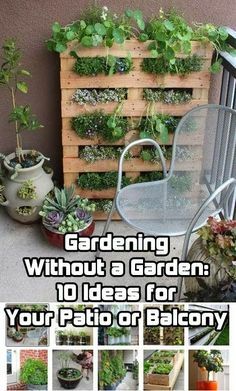 Try using pallets or other structures to maximize your vertical growing. 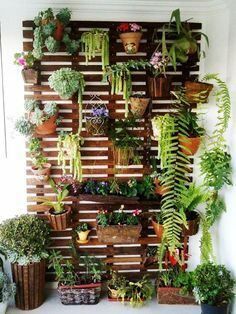 A variety of crops can successfully grown on vertical surfaces, such as lettuce, herbs, peppers (pictured above), tomatoes, and strawberries. Even if you can’t grow enough food to meet all of your family’s produce needs, an edible garden can supplement your food supply and still be a sustainable and rewarding experience. Another consideration, if your space or time is limited, is to find a local community garden where you can volunteer or be provided a plot of land to cultivate. These gardens are becoming increasingly popular as communities find creative ways to turn underutilized land back into prosperous gardens or habitat. Community gardens are important enough to urban greening efforts that the Habitat Network designates them as a site-type in the mapping application making it possible for people to map these critical community green spaces. 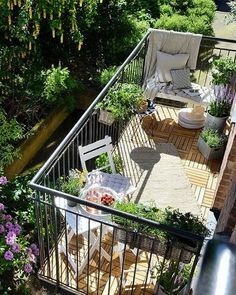 If space is not an issue, the sky’s the limit for what you can plant. We recommend planning out the garden on paper before planting. This gives you a blueprint to use when you are outside putting seeds and plants in the ground. Time is saved and companion plantings can be figured out ahead of time. Companion planting uses crops, herbs, flowers, or other plants placed next to, or near one another, in a garden to benefit each other in some way. Benefits include, but are not limited to; structural support, maximizing growth, discouraging pests, and trap plants that will lure common pests away from garden crops. Planning ahead will help determine the most ideal location for the garden. Most edible crops require six to twelve hours of sunlight a day to prosper. Some crops, such as lettuce and spinach, will tolerate less sunlight while tomatoes and peppers will need lots of sunlight to ripen. Watch your yard and take notice of which areas maximize the sunlight. Having some early morning, mid-day, and afternoon light is ideal. Knowing whether you are growing more cool season, shade tolerant crops (lettuce, peas, radish, spinach, onions, and cabbage family) versus warmer season, sun-loving crops (tomatoes, peppers, eggplant, corn, and squash family) can also inform your garden location. Garden beds can be structured to meet the needs of your planting area. They can be circular, rectangular or any other shape you deem appropriate. We recommend deep raised beds that are approximately 12-20 inches deep and no wider than you can reach to the center of from both sides, usually about three to four feet wide. If the beds are too wide, then you are required to step onto the soil, causing compaction and counteracting the benefits of the microorganisms that aerate the soil through their decomposition activity. Even in the most ideal loam, healthy soil takes time to build. If you create deep raised beds by mixing topsoil, aged-manure, compost, and other organics, you will have better growing results from the beginning. 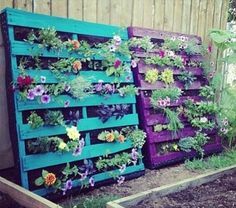 A raised bed needs a frame or container to hold in the soil so it is not washed away during watering or rain events. Loam is a type of soil that contains balanced amounts of sand, silt and clay. Consider using logs or rocks on your property (that are not otherwise being used for habitat features) as the container for your raised beds. Or, do you have old cement blocks from a construction project? Those work well too, just make sure to build a foundation under them and cement between layers to minimize the sinking and shifting effects from gravity and winter freeze/thaw. 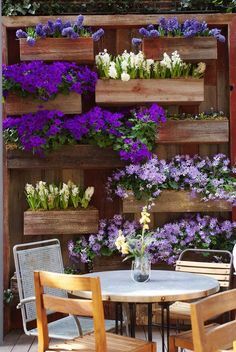 If you do not have materials readily available, purchasing 4×4 untreated, wooden boards (locust, cedar, juniper, and redwood are commonly used) is an excellent choice. Sustainably harvested wood (FSC certified) is also an option to consider since it decreases the impact of the timber harvest on the landscape and local communities. We do not recommend using tires, galvanized materials, or treated wood. All of these products will leak contaminants into the soil which may not be not safe for consumption. Industrially-produced food can be really resource intensive to produce making edible gardens an excellent source of fresh, healthy food, that requires less inputs. Every food crop you raise yourself is one that does not have to ride for hours in a refrigerated truck, sit for days in a cooler at the grocery store, and then in your home refrigerator for a few more days. In fact, it is estimated that for every one calorie of food that comes from industrial agriculture seven to ten calories of fossil fuels were used to deliver that calorie to your plate. Growing your own food means you have control (for the most part) of what your food is exposed to. Knowing what chemicals are (and are not) present is another reason why many people turn to planting edible gardens. As C.B Huffaker once said, “When we kill off the natural enemies of a pest, we inherit their work! Since every garden has them, pest-management can become a big issue for most gardeners at one point or another. Soil tests can be purchased at most garden centers. Knowing the pH of your soil before planting will help inform what organic material you need to add to improve the growing conditions. Most edibles like a slightly alkaline pH between 6.5-7.0. There are exceptions to this, like blueberries , which prefer more acidic soils, or asparagus that tolerates more basic soils. Explore this resource for more information. For most gardens, one to two inches of compost applied annually will give your plants needed nutrients. An affordable way to find compost is to contact a local farm. Many livestock farms are happy to give away aged-manure to gardeners. Make sure to ask how they raise and feed their animals to ensure you are not introducing chemicals or antibiotics to your soil. Remember that a little compost goes a long way. Adding too much will enable excess nutrients to runoff into streams or groundwater where it will promote excess algae growth and rob the aquatic ecosystem of oxygen, potentially causing fish die-offs and contribute to a greenhouse gas called nitrous oxide, which has 320 times the heat-trapping potential of carbon dioxide. Getting everything right can be tricky if you are guessing. Most great gardeners get their soil tested to determine specific nutrient needs. Manually pick, prune, and pull pests with your hands. By picking off certain pests (such as the tomato hornworm (Manduca quinquemaculata) pictured above), pruning carefully, and pulling weeds, you reduce the amount of pesticides needed for your patch. Beneficial insects, when allowed to do their job, will be helped by hungry birds searching for tasty morsels. If you decide to apply herbicides or pesticides, do your best to keep birds (not to mention children and pets) out of the treated area. 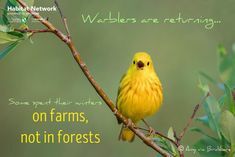 If possible, enclose the treated garden with a fine wire mesh or bird mesh for several days following your application. If you must use pesticides, locate feeders or nest boxes as far as possible from your food garden. Remember, if the produce has holes, chew marks or is otherwise imperfect, another way to think about it than as “damaged” or “gross” is to use it as an indicator that it is safe to eat because insecticides were not applied. Pesticide is a general term that includes substances used to kill pests like insects, weeds, fungi, rodents, etc. Since different substances target different pest organisms you can use more specific terms that include; insecticide (targets insects), fungicide (targets fungus), herbicides (targets plants) and rodenticides (targets rodents). Mulch around your plants, but don’t cover them up. Adding about 2” of a weed-free mulch will keep weeds down and moisture high. Mulching is a great alternative to applying herbicides and is completely safe for wildlife. For edible gardens we recommend straw, grass clippings, tree leaves, untreated wood chips, or sawdust. Each mulch recommendation has pros and cons, see this resource for more information on your options. Try planting a cover crop, like cowpea (Vigna) pictured above. You’ll enjoy a better soil structure, reduced fertilizer needs, and promote more soil retention. Peas and clover make great cover crops as they fix nitrogen in the soil as they grow. All you need to do is choose a cover crop suitable for your location (your local cooperative extension office can help with this – we link you directly to your local office in the Local Resources Tool), seed your cover crop once you are done working in the garden for the year, and then till the new top growth under in the spring. Read this fact sheet for a quick introduction to cover cropping. Row Covers, pictured above, are a light, usually white fabric, that can be placed over a variety of crops to discourage predation. 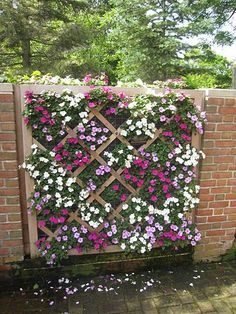 They can also be used to cover your crops in colder temperatures or to extend the growing season by protecting plants from frost damage. Use of row cover can eliminate the need for pesticide applications in gardens. Covers need to be removed from pollinator-dependent plants, but can be left on for wind pollinated plants. See this resource for more information on using row covers in your garden. Bees aren't the only ones buzzing your tomato flowers! This hummingbird is checking out some blossoms, too. 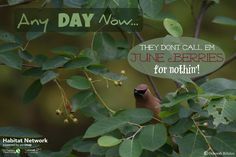 Finally, after all the hard work of creating a garden safe for you, your family and wildlife, you may be frustrated by the amount of wildlife taking advantage of your organic produce. Birds, rabbits, woodchucks, deer, and insects are common offenders. There are various ways to protect your harvest–row covers deter most insects and larger animals. Fences or cages can be used around crops or raised beds. Large dogs are excellent protectors of gardens. Spreading their fur around the outside of the garden will help some animals think twice about coming too close. And, of course the family scarecrow will help for a short period of time, until the larger animals become habituated to it. If you are specifically bothered by too many birds in your garden, there are perfectly harmless ways to discourage them from helping themselves. Shiny objects frighten birds away, especially if they move or swing; reflective balloons, a kite, or old CDs strung around your garden might serve the purpose. Placing a few rubber snakes in conspicuous places might also reduce the number of birds landing in your patch. Loud noises startle birds away; make some noise when you see birds in your garden, or purchase an ultrasonic bird repellent to do it for you when you’re not there. Finally, you can also use timed sprinklers to your advantage by setting the timer for periods when bird traffic in your garden is high (such as mornings and early evenings). Important! It is illegal to harm any native birds without a permit, there is always a non-lethal option for controlling bird pests if you take the time to try out some alternative methods. 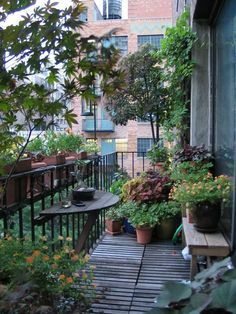 Gardens can be sanctuaries. Places to nourish our mind and soul. Edible gardens provide the added benefit of feeding our bodies nutritious, locally-grown food. The delight of those first seasonal bites of home-grown produce remind the taste buds that, for many, there is no labor of love more worthwhile than the edible garden. 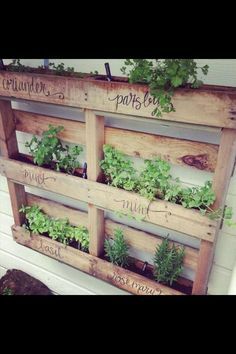 LET US KNOW, HOW DOES YOUR EDIBLE GARDEN GROW? Put an edible garden habitat on your map. Use the tool located in the Tool Shed under Second. Find edibles on the toolbar that pops up and click it once to select it then click on the map where you’d like to start to draw and click to trace around the edible garden on your map. You can always change its size, shape, and position using the lock/unlock from editing box. Double click on the edible garden to add important data and show off your conservation efforts. You can give your garden a name or title in Basic Information. Then click Characteristics to tell us about it. What kind of crop are you growing, do you use pesticides, and how often do you water? Don’t forget, you can also make comments about the garden and upload pictures of it. Show us how your edible garden grows. Home gardeners have easy access to many of the same herbicides put to use in commercial agriculture. But should you use them?